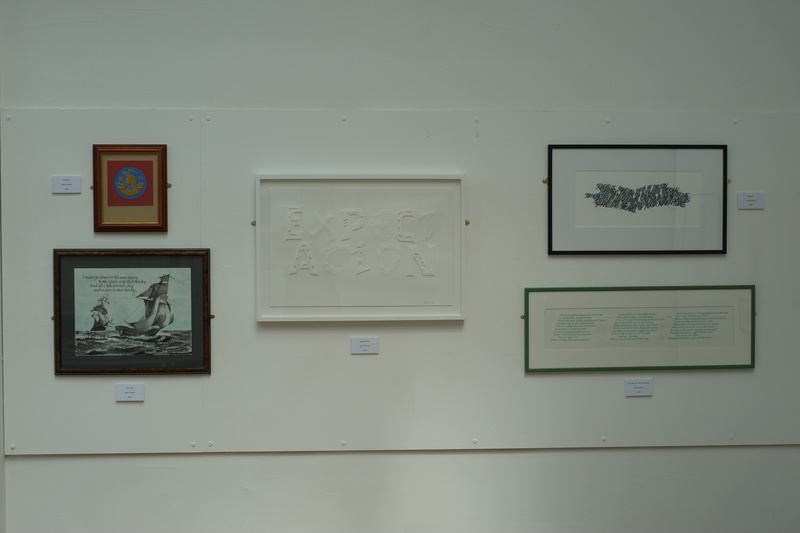 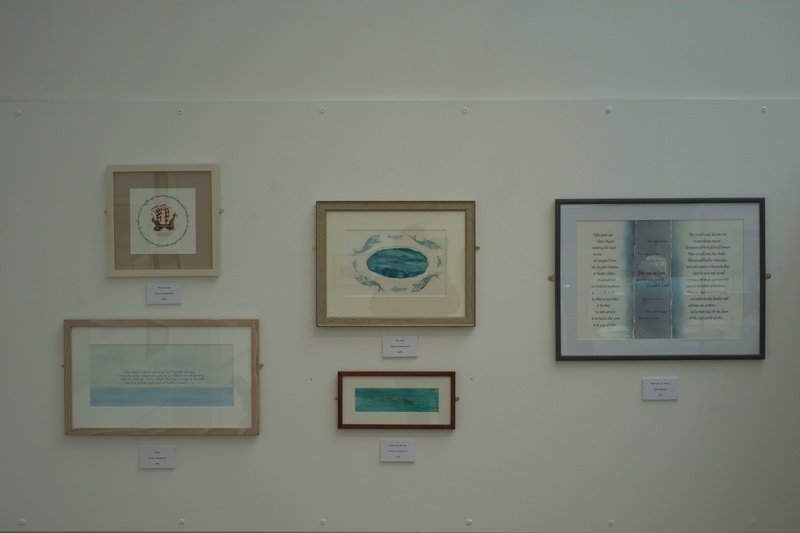 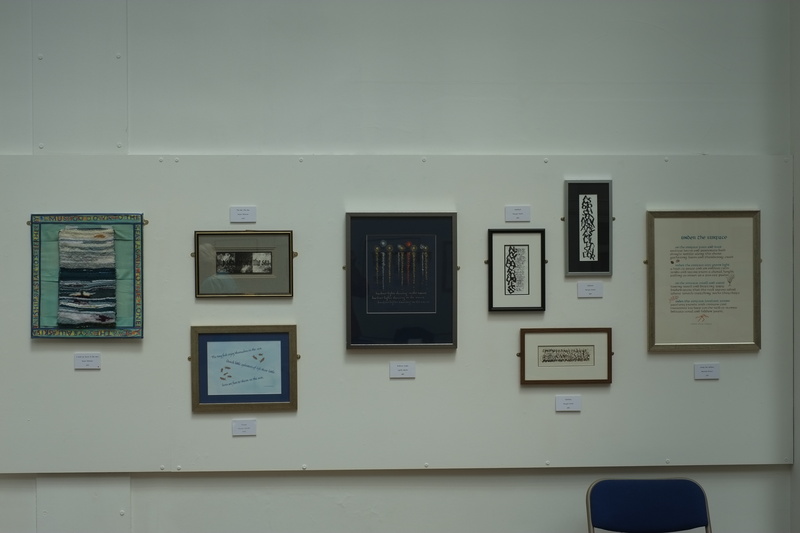 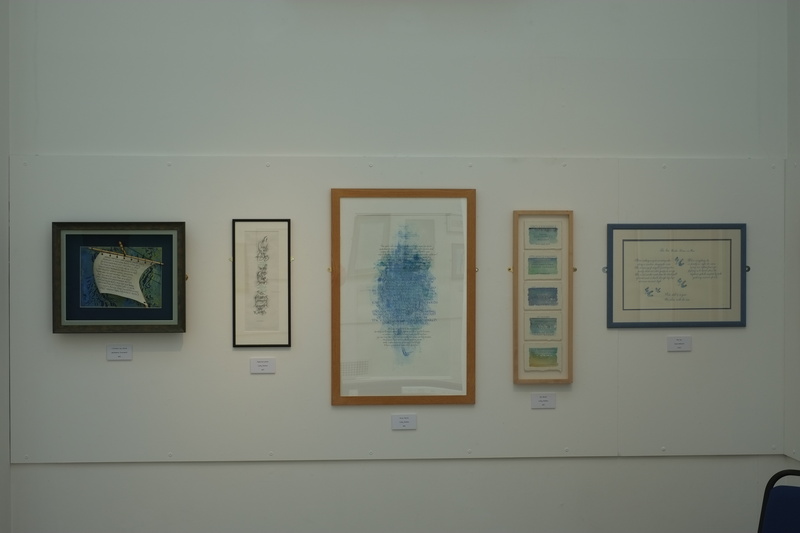 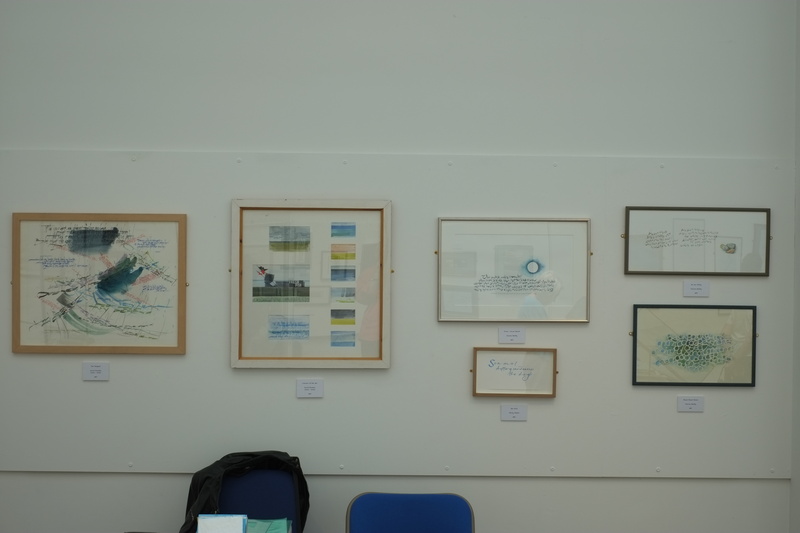 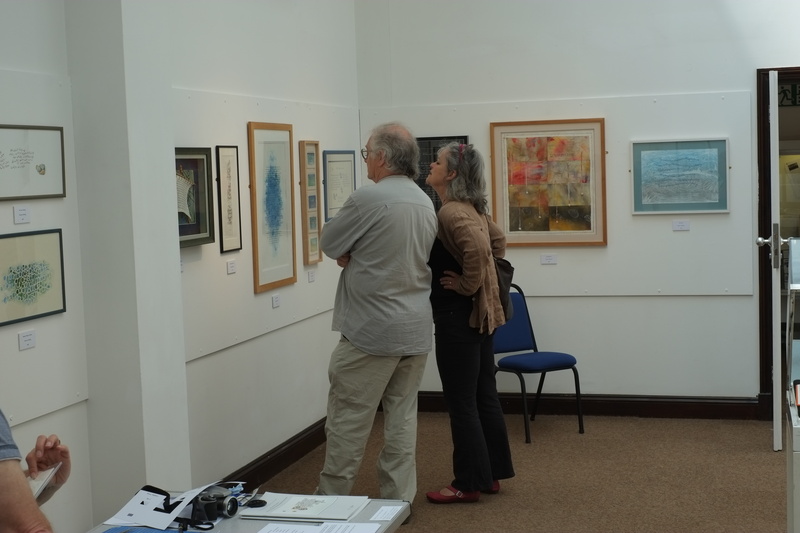 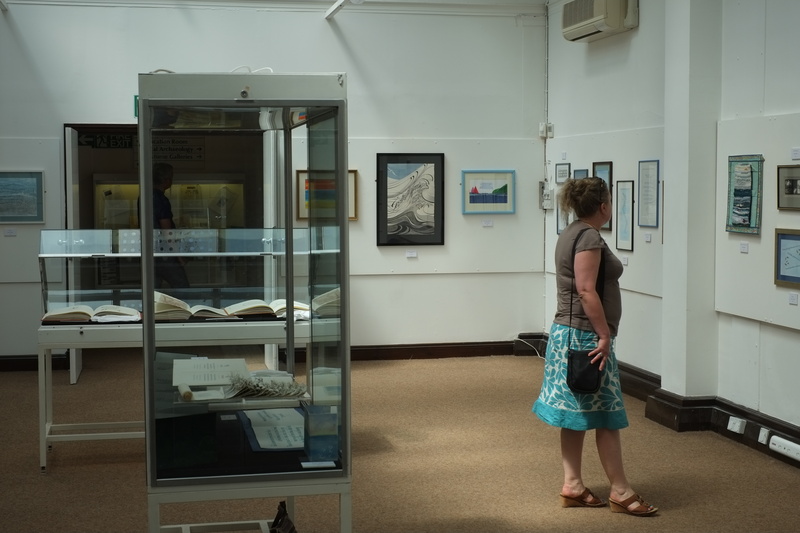 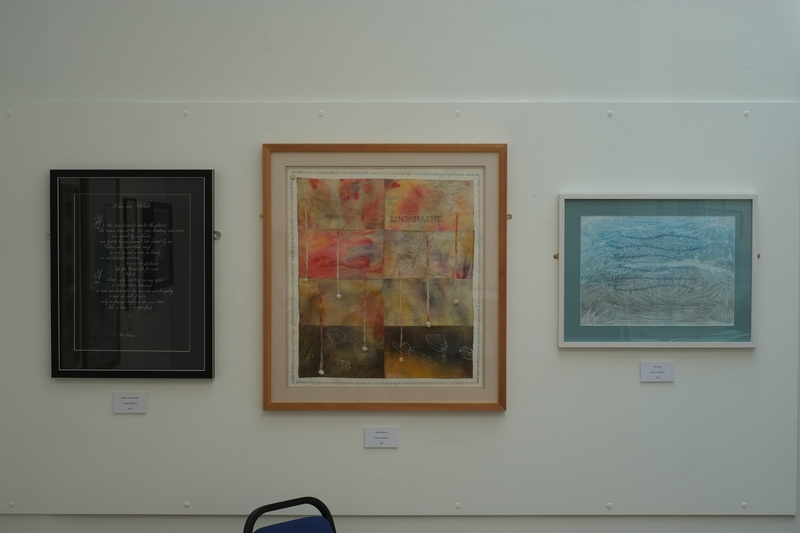 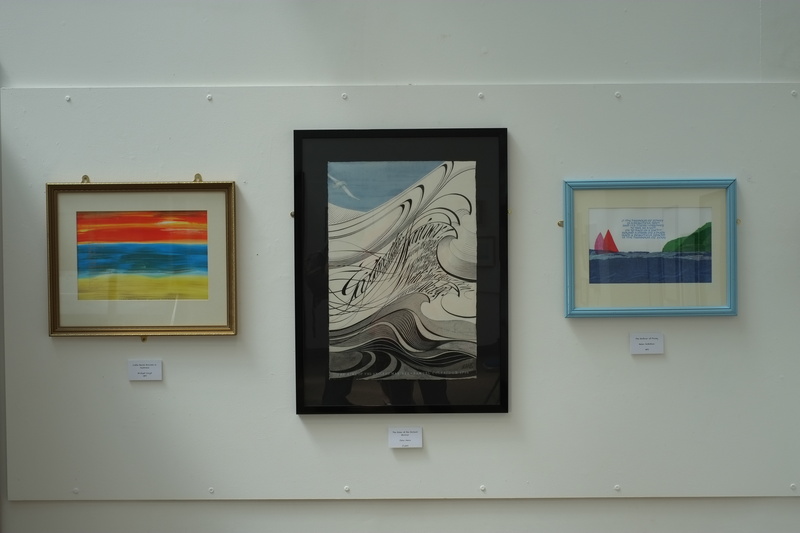 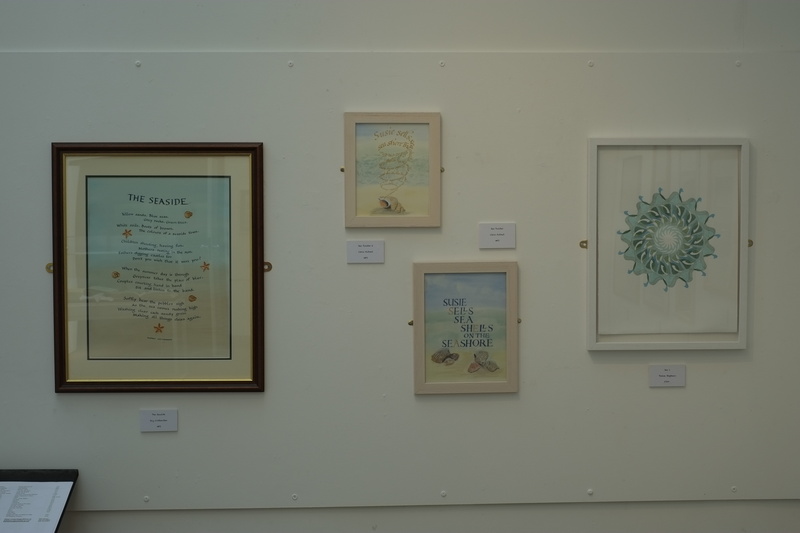 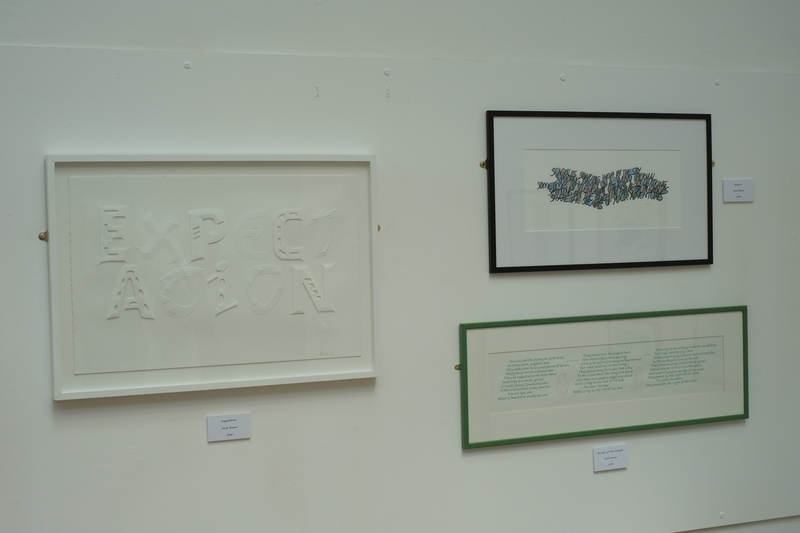 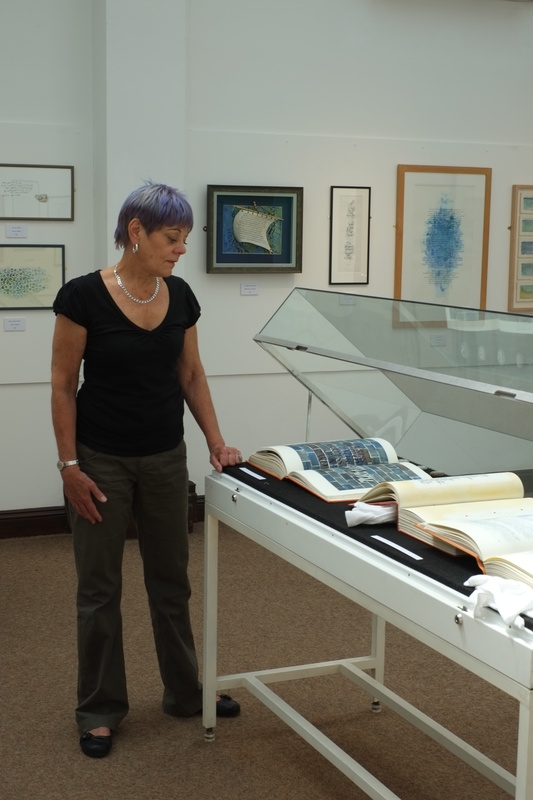 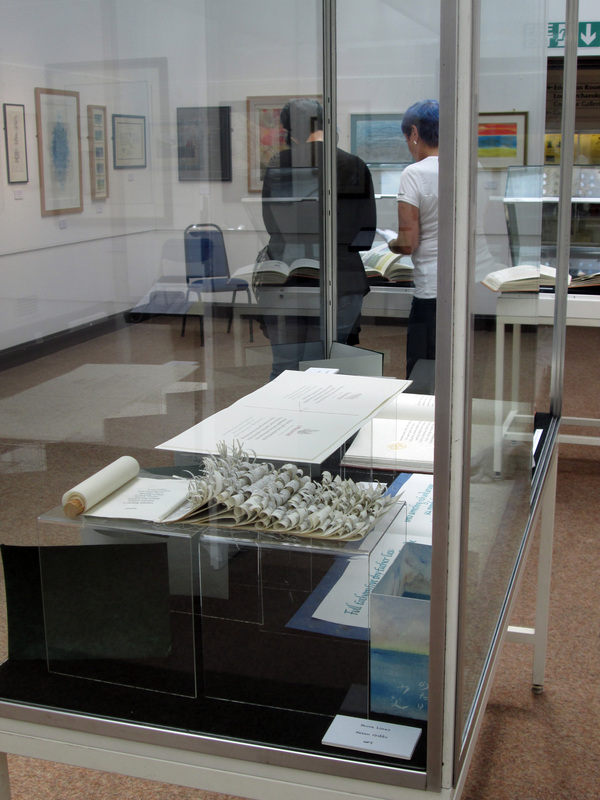 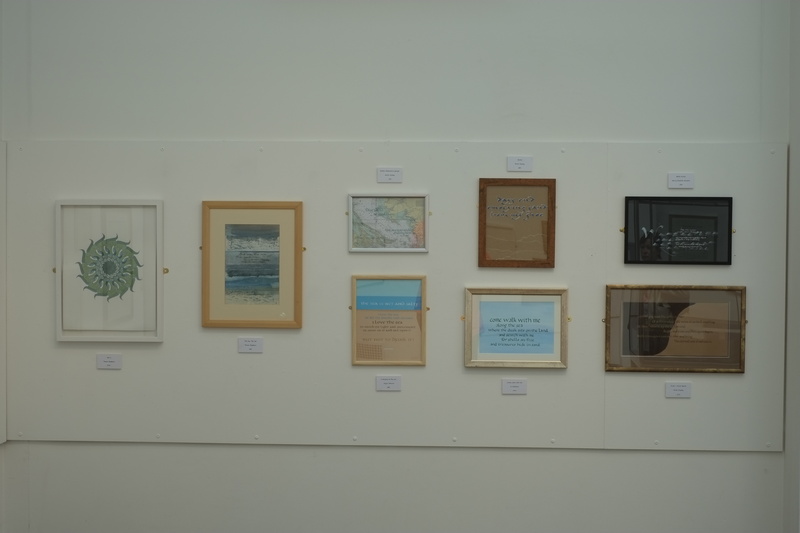 Our most recent group exhibition was in June 2014 and was held at Worthing Museum and Art Gallery. 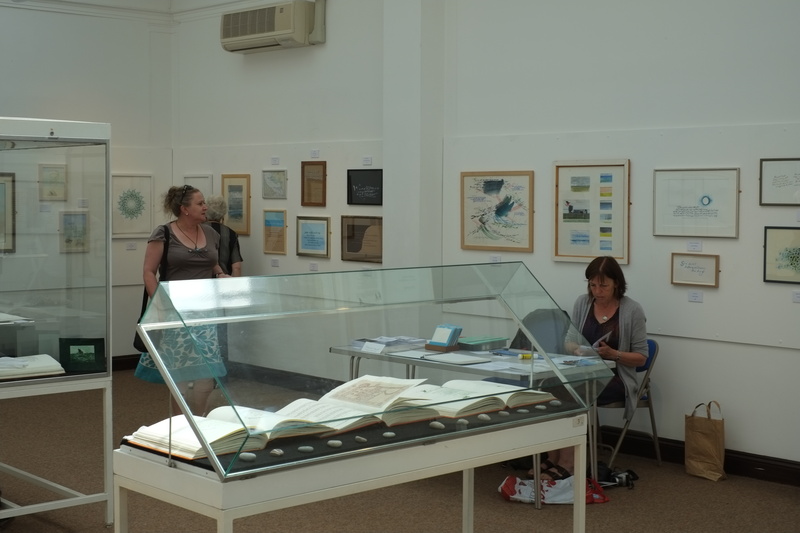 The exhibition was on for a week and drew many visitors. 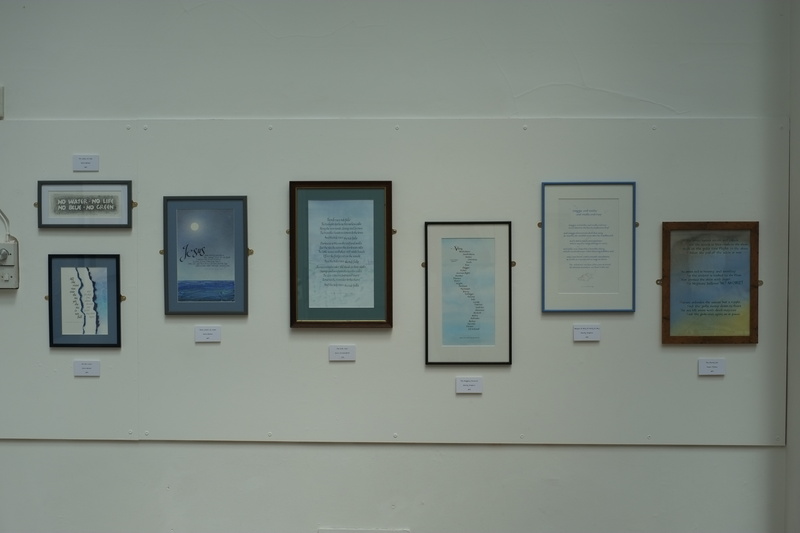 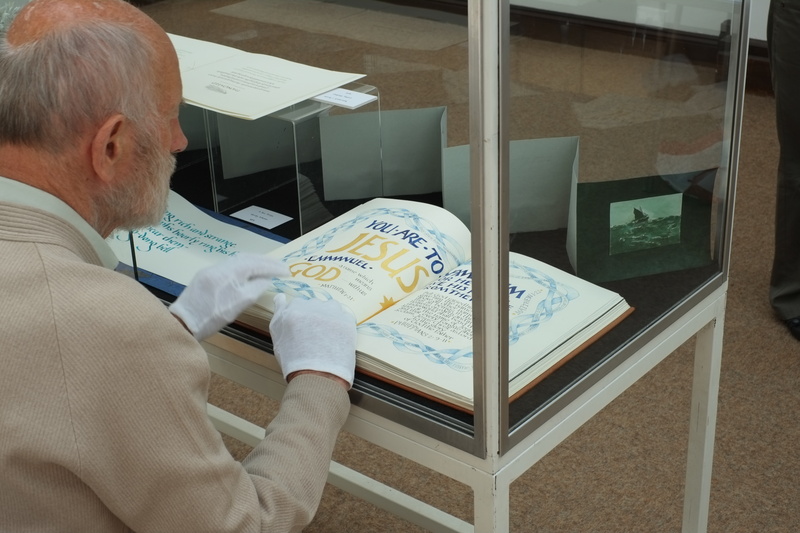 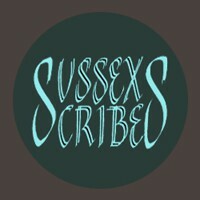 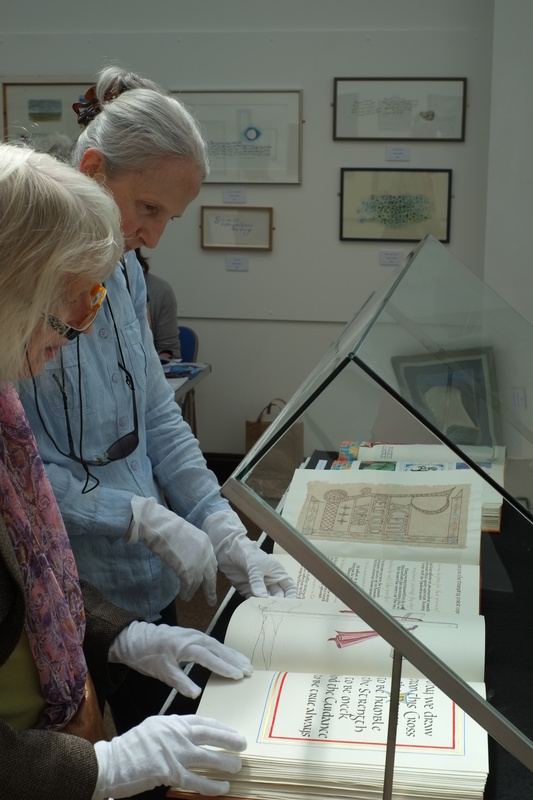 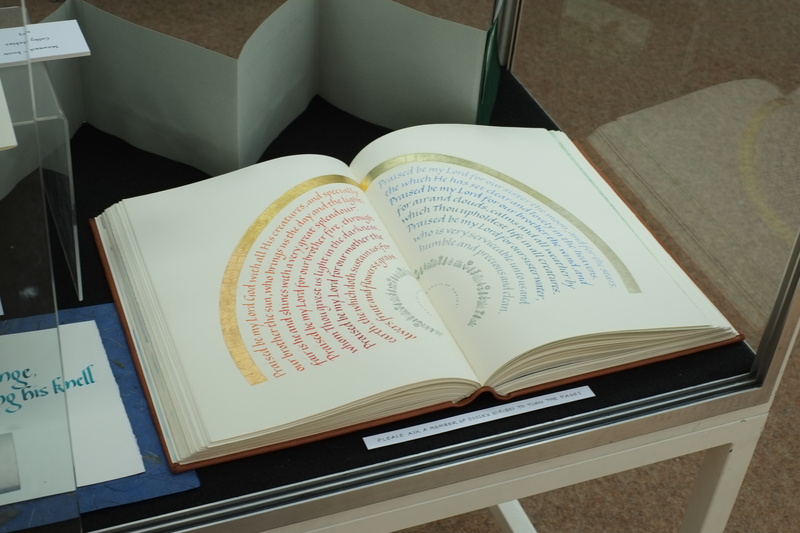 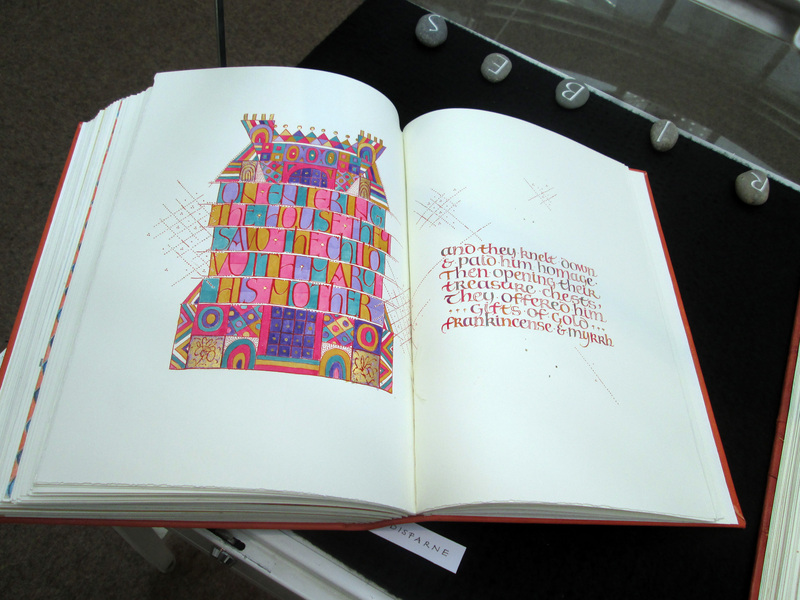 As well as the work from Sussex Scribes, we showed the Letters After Lindisfarne project. 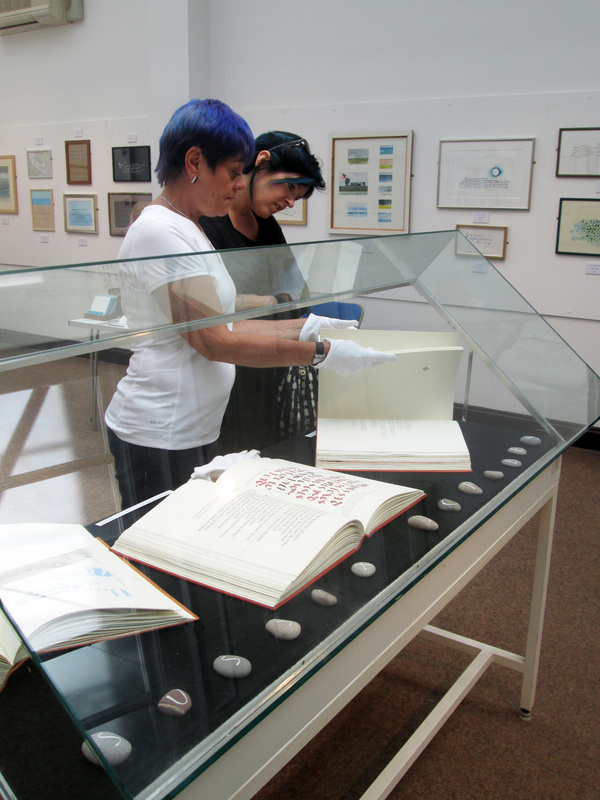 Helpers were on hand to turn the pages and to tell people all about the project.